Juneteenth. It's a holiday with a funny name and a serious meaning. Pairing "June" and "nineteenth," it represents freedom from centuries of oppression in a single word. It was June 19, 1865, when Union Major General Gordon Granger arrived in Galveston, Texas, and announced that the Civil War had ended and all enslaved people of African descent were free. Many who had endured countless atrocities under the brutal regime of chattel slavery walked off the plantations the instant they heard Granger declare: "The people of Texas are informed that, in accordance with a Proclamation from the Executive of the United States, all slaves are free. This involves an absolute equality of rights and rights of property between former masters and slaves." It was a landmark announcement, one that echoed around the world in cries for ending other human rights abuses. This idea of emancipation from slavery was at the core of ending the Holocaust and apartheid in South Africa. But the power of freedom from enslavement didn't stop at race-based discrimination. It lit the fire for the labor movement that demanded a limit of eight-hour work days, inspired gender liberation and brought equal rights to women. Freedom is one of the most contagious ideas that has taken root in the human mind. So powerful is the possibility of freedom for those experiencing confinement, limitation or wholescale human rights violations that many have risked horrific forms of torture and death. Castration, whipping, hanging, being quartered alive, eaten by birds, boiled in oil, brutally raped, having limbs amputated, children killed and other unspeakable incidents were the consequences of enslaved African people seeking freedom in America before Granger's announcement in 1865. Elsewhere, the price of seeking, protecting or exercising freedom has been paid at the guillotine, at the stake, on the plank or in the loss of life in war. Granger's words "all slaves are free" and "absolute equality of rights" were confirmed in the 13th Amendment to the U.S. Constitution and challenged the subsequent failure of Reconstruction and the injustices of Jim Crow segregation. Various leaders exposed the ongoing inequality of rights that defined liberty as fantasy for some in the 20th century, and the benchmark of Juneteenth is still used for justice movements today. One hundred and fifty years since the bell of liberty resounded in Galveston, we can wholeheartedly celebrate the degrees of freedom achieved, while working to finish the work of self-determination and empowerment. 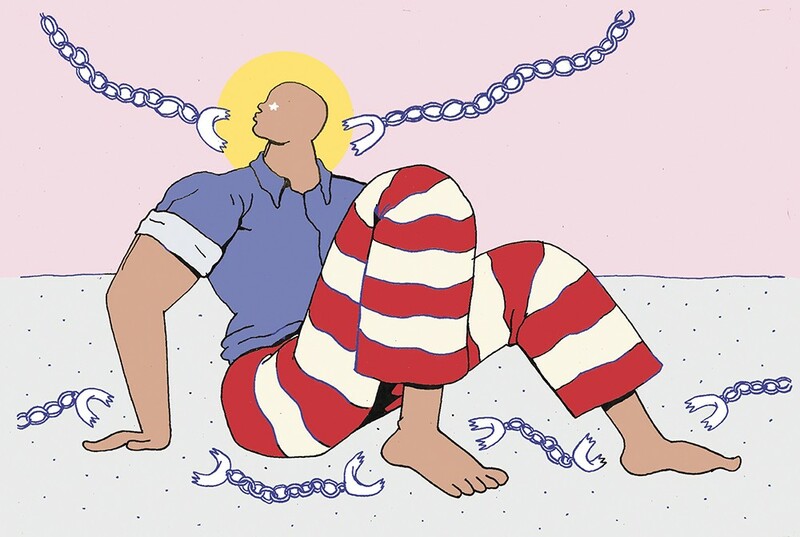 Under the 13th Amendment, slave labor in privately owned prisons is legal, where inmates work today for as little as 5 cents per hour to make corporations rich. One man who knows the pain of lost freedom is Gerald Hankerson, the first person to be exonerated from death row in Washington state. He was sentenced to death at age 19 and served 23 years before being vindicated and freed. Hankerson now oversees civil rights in the Northwest as the president of the Seattle/King County NAACP, as well as presiding over the NAACP's Alaska Oregon Washington State Area Conference. I will be traveling to Connell, Washington, this Saturday with Hankerson to speak to inmates at Coyote Ridge Corrections Center on the topic of Juneteenth, and also will speak with the inmates at Airway Heights Corrections Center the following week on the morning of Juneteenth. Hankerson will be coming to Spokane this September to lead the NAACP State Area Conference Convention.